huge ranch style 4 bedroom, 3 full bath, home in SW Redmond. Fully fenced backyard on a large .58 acre lot with city water, paved street, and a septic system. Great location, zoned r4, with possible out of home business operation and/or duplex conversion! Detached shed for storage and plenty of space for RV’s and other toys. Could use some TLC! 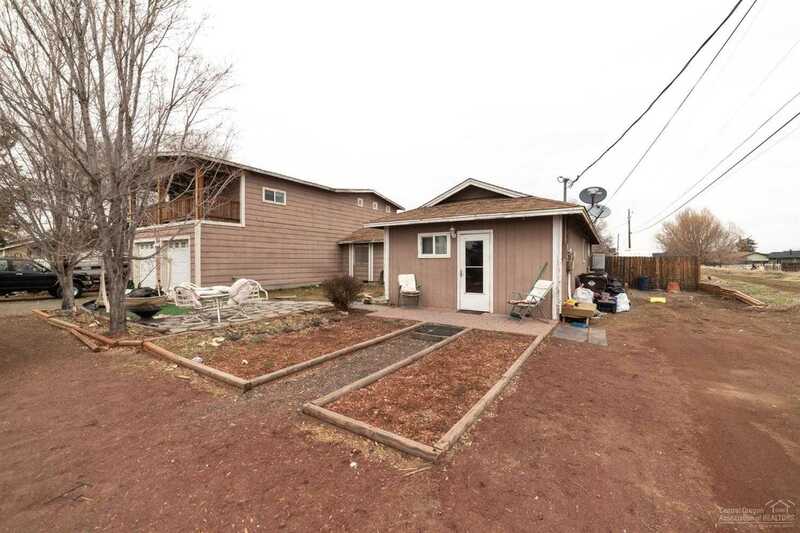 Please, send me more information on this property: MLS# 201901989 – $279,900 – 3381 Sw Glacier Avenue, Redmond, OR 97756. Cross street: SW 27th St.